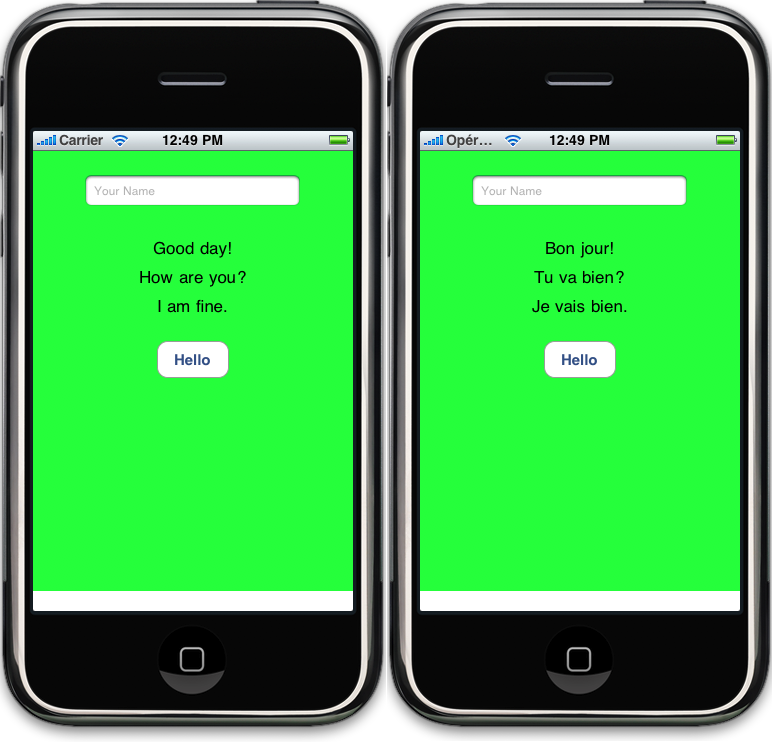 iPhone – Localization | Eureka! Localization is a must in mobile application development. 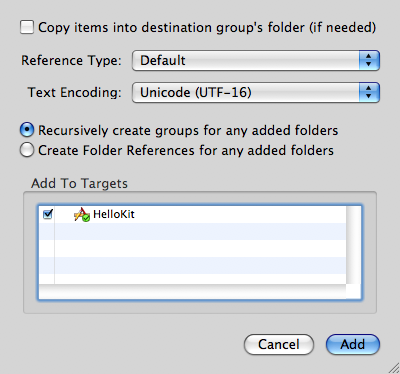 The article will shows you how to localize your iPhone Application in just a few steps. 1. Whenever you need a localized string in your application, use the NSLocalizedString(NSString *key, NSString *comment). 2. 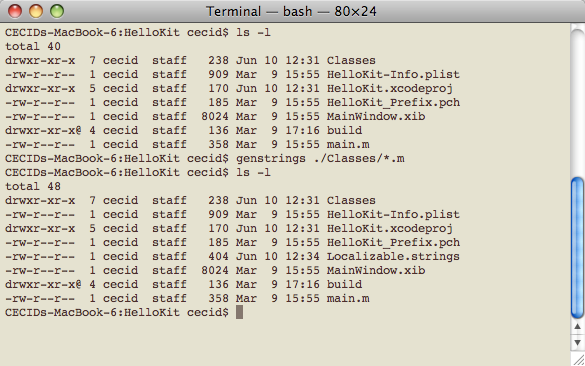 Generate the Localizable.strings file using the genstrings command under your Xcode project directory. 3. 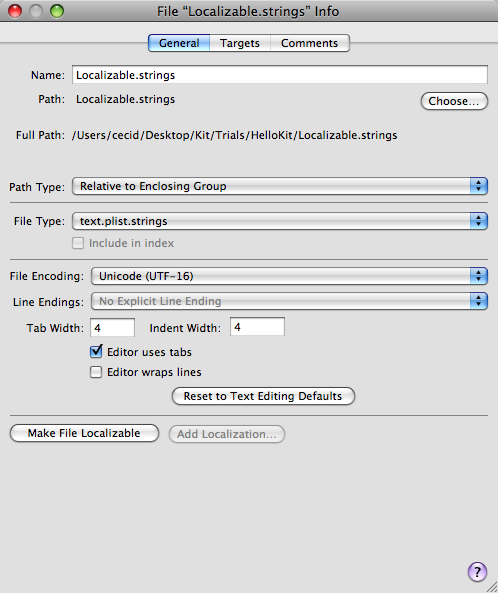 Add the Localizable.strings to your Xcode project with UTF-16 encoding. 4. 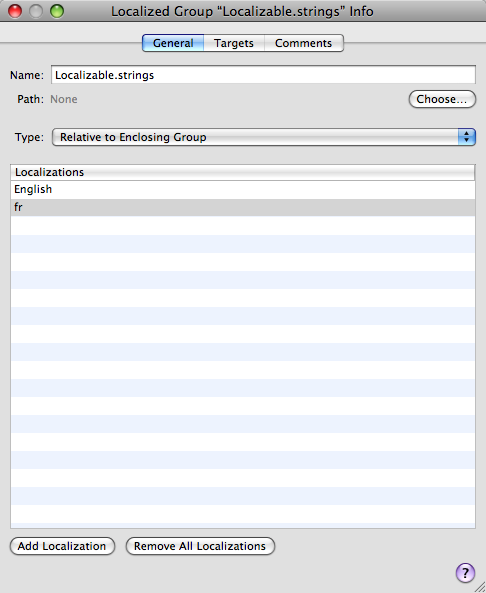 Open the Info of the Localizable.strings and click Make File Localizable. 5. Go to the General tab and add as many as localizations you want with language code as the localization name. 6. 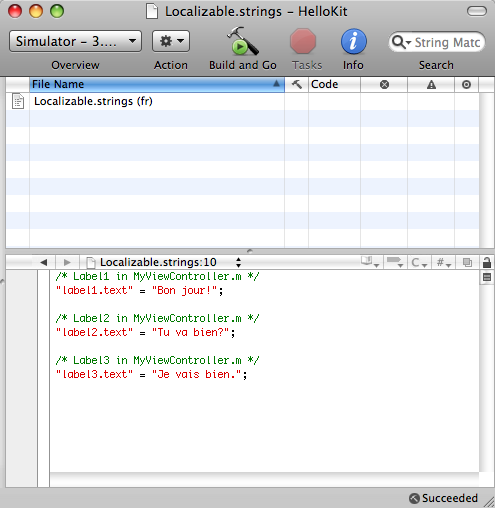 The Localizable.strings is split and you can now edit the localized string with each key. Please note that you can change your iPhone/iPhone Simulator preferred language in Settings -> General -> International -> Language.